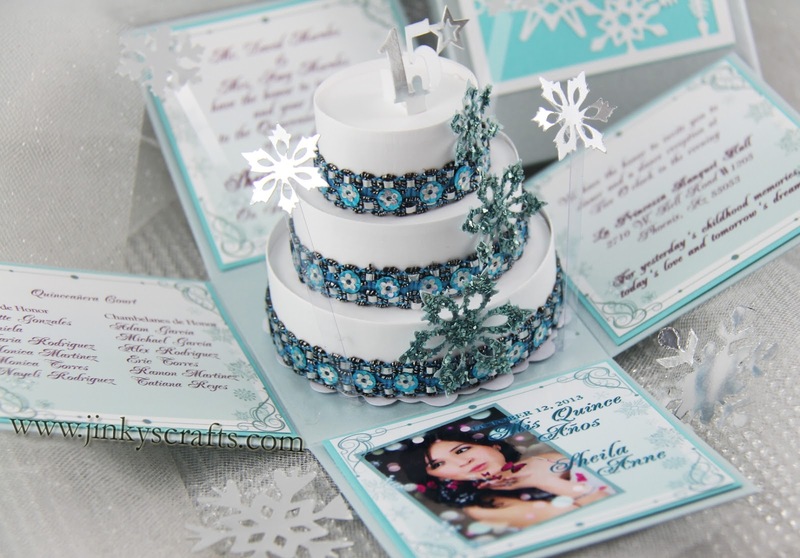 Are you planning a festive winter themed Quinceañera party? 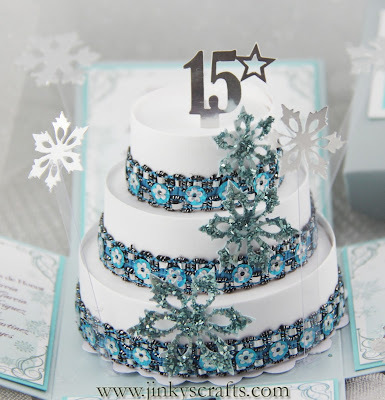 Or maybe you're thinking of snowflakes to set the tone of your big Quince celebration... Think outside the box. This Winter Wonderland Quinceañera Invitation + exploding box + 3-Tier cake in the middle - is one of a kind. You're certain to get your guests excited to attend your party after receiving this elegant and stylish Winter Themed invite. The 3-tier Cake is surrounded by snowflakes floaties or pop-ups. When your guests open their Box Invitation, it explodes with snowflakes dancing around the cake. A custom die cut cake topper shows the personalized touch of the invite. The winter blue, silver, white color, and glitters makes the recipients of this invite feel like they're briskly walking through the crisp snow. 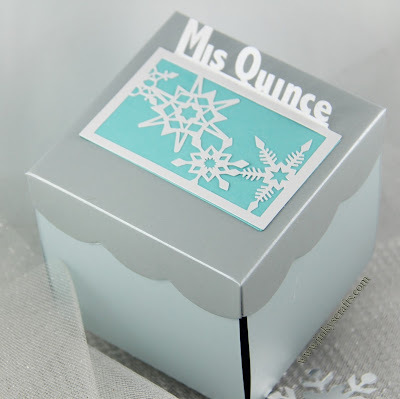 The lid has custom die cut snowflakes and a 3D Mis Quince label. How cool is that? If you're looking for a unique way of notifying your guests about your upcoming Winter event...pick this one up. JinkysCrafts custom invites will leave a great impression on your invited guests. Please check out Gallery for more ideas, and contact us for any questions regarding a custom order. Thank You!